Live-in Rhode Island caregivers often give up their personal earnings during their most productive years to take care of their senior loved ones. While this is a very noble undertaking, it is vital to consider the financial implications. There are several tips that may help plan financially. 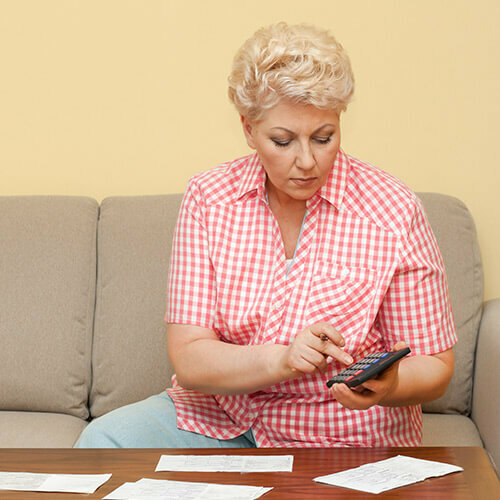 Rhode Island in-home care professionals agree that keeping track of where the money is currently going is the first step in controlling finances. Write it down when you spend any money. The next step is to create a budget sheet. Some caregivers even find it helpful to put money in envelopes for specific purposes. Siblings may be willing to help if they understand the burden that the caregiver is bearing. While many find it difficult to ask, many need to explore this possibility. If possible, sit down together and explain the situation. Many caregivers spend up to $12,000 a year out of their pocket paying for incidental expenses including uncovered medical supplies for senior loved ones. Some caregivers find it difficult to seek help from the government. These programs are there to help people during the most critical moments. There are programs that will help put food on the table, house repairs and many other things. Do not overlook the possibility of getting help from local non-profit organizations. A great place to start finding help is to call 211. Some caregivers find that they can still work part-time. This can be an asset in terms of both finances and taking an emotional break. There are some jobs that can be done at home. For example, freelance writers often work from home. Caregivers should make sure that they are making long-term plans. Some people find that they can pay into their spouse’s 401k in their own name. Others find that they can still pay into social security to help pay for their own senior years. There are many financial considerations when taking care of a senior loved one. Make sure to ask for help when needed. Contact Home Care Assistance at (401) 284-0979 today to learn more about our unique stroke, dementia and Alzheimer’s home care Rhode Island families can trust to help their loved ones age in place. Call today to set up a free consultation for your elderly loved one.